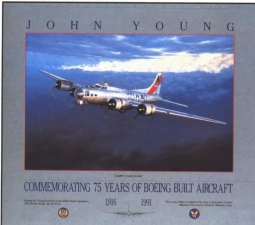 The Boeing B-17, and the Consolidated B-24 were the United States' two standard heavy bombers until the introduction of the B-29 Superfortress. B-17s were flown by the United States Army Air Corps (USAAC), throughout the American participation in the Second World War. They were used by the US Eighth Air Force, based in the UK, to bombard German targets in Europe during daylight hours, a method which resulted initially in very heavy losses of aircraft and crew. As B-17 refinements progressed, along with better pilot training and tactics, it would become a formidable adversary in the Allied war against Germany. 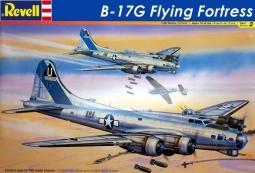 Desktop Model Boeing B-17G Flying Fortress "Blood and Guts"
Scale 1/72 Wing Span 17-1/4" Length 12-1/2"